Tis the season…to enjoy crisp Fall weather on your front porch, that is! 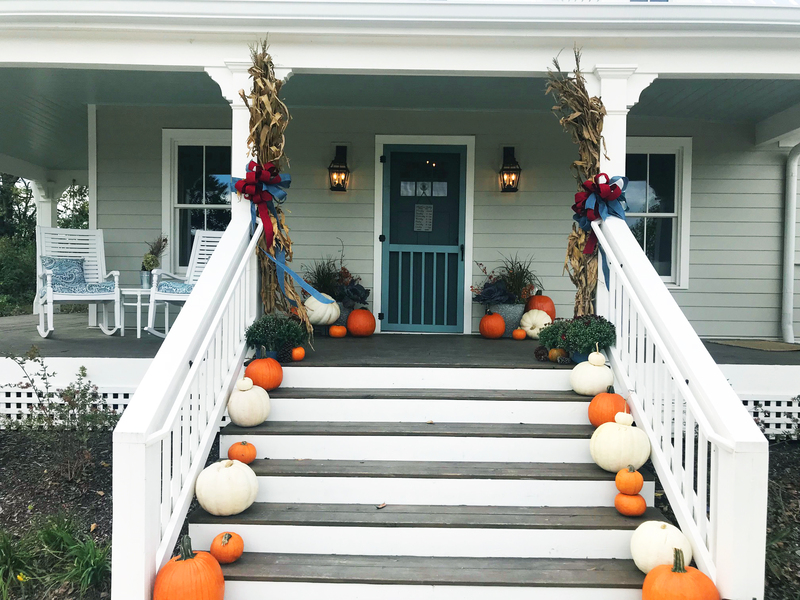 Here at Stephens Valley, we are so excited about all things Fall, but we’re the most excited to see all of our front porches decked out for the season. If you need some inspiration, check out some of our tips below! 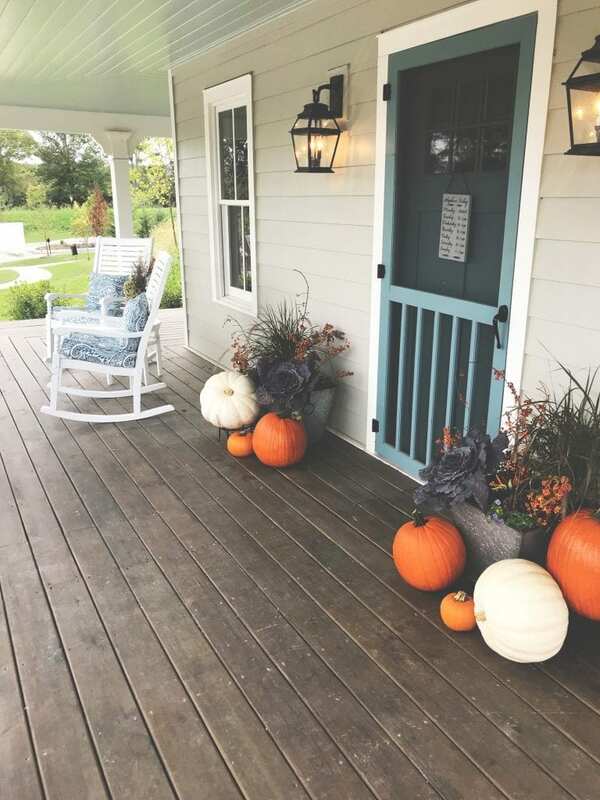 Though they might be an obvious fall decoration, pumpkins are, without a doubt, a necessary staple for your front porch. Make things more interesting by varying your colors and shapes, and including gourds and squash as well. They look great as is, but carving your pumpkins can be a fantastic family activity. You could also consider painting some, especially if you have young kids that want to be more involved in the process! Most consider flowers a springtime decoration, but chrysanthemums, or mums for short, can add the perfect homey element to your fall front porch. Derived from the Greek word for “golden,” these flowers often resemble wild golden daisies, but they come in several other colors. Consider adding some crisp white or burnt red mums to really make your porch stand out. Wreaths aren’t just for Christmas anymore! Hang an autumn-themed wreath made of leaves, flowers, pine cones, twigs, and more. You can buy an autumn wreath in any home goods store, but you can also make your own! Have the whole family make one and you’ll be able to add even more wreaths throughout your home. There are endless fun fall sayings and quotes, so adding a fun fall chalkboard is definitely worth it! It’s better than a permanent picture because you can change the message as often as you want, and even reuse it during other seasons. If you’ve got kiddos, let them take a stab at writing the message! Have an old wagon or wheelbarrow in your shed? 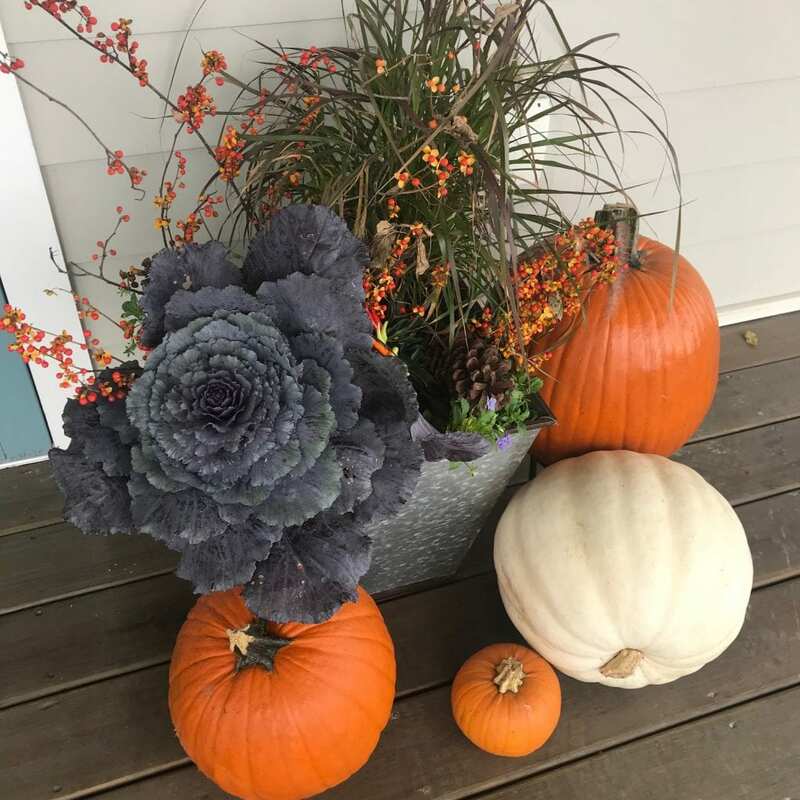 Put it to good use on your front porch this fall! Fill it with some of your mums and pumpkins, and your front porch decorations will be way ahead of the game! We at Stephens Valley never hold out for Christmas time to drive around and admire home decorations, because we can’t wait that long! Fall decorations are so classic and timeless, and always get us in the mood for sweater weather and a warm glass of apple cider.